Nowadays portable devices are designed to perform varied and multiple tasks. It has become standard in portable devices that they play music, videos and usually one or two more added service. Manufacturers have taken into consideration the different target markets and adjusted their products to meet their specific needs. Portable devices are no longer made for just "people on the go." Take for instance the new Sony S2 Sports Walkman series. This portable device from Sony not only gives consumers a means to hear their favorite music in MP3 but also helps keep track of their health. Yes, their health. Sounds kinda weird for an MP3 player? Well actually it does make sense. How often do you see people exercising with earphones and portable players stuck to their hips, arms, or necks. You have this piece of equipment with you while you work out and Sony figured you might as well pack added features into it to make more use out of it aside from playing hit songs. The Sony S2 Sports series does exactly that. The MP3 player features a calorie counter, which measures your calorie intake and helps you manage your weight overall. It has a pedometer or a step counter device which can be a great way to measure how much calories you burn, and a small by all important stopwatch. These features add to the built-in FM tuner with programmable presets as well as capabilities of creating playlists which you can fit to your workout schedules. 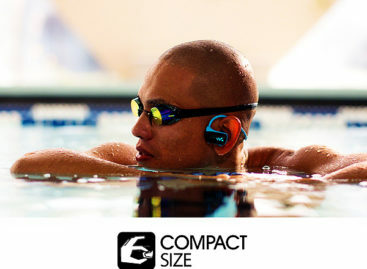 Sony has encased the S2 series in a durable aluminum and water-proof housing which is intended to complement and enhance the exercise regime of end users. The 1 GB and 2GB storage capacities can already store more songs that you can hear during an exercise regime. The player is expectedly lightweight. Weighing only an ounce, it can easily be fitted on one’s arms through the bundled armband. It sports a one-line organic electroluminescence (OEL) display which was designed for both left-handed and right-handed users. A new piece of technology that comes with the S2 series is the Sony’s G-Sensor technology. Incorporated with the player, the G-Sensor technology automatically detects speed variations through a "Music Pace" thus a user can easily match his or her workout with the appropriate play list. It is the "Music Pace" that detects the speed, tempo and acceleration of the user. 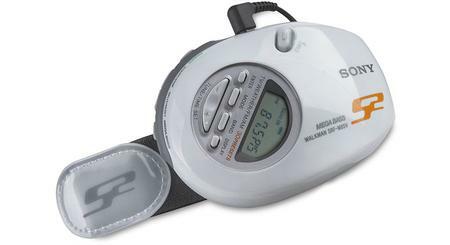 To supplement the features of the MP3 player, Sony made sure that battery capacity reaches 18 hours and with only a 3 minute charge, the player gives a 3 hour playback. Formats that can be played are AAC (non-DRM), MP3, WMA (non-DRM), and ATRAC music files. The market price for the silver-colored 1GB S2 version reaches $120 while the black-colored with 2GB memory capacity sells at $150 per unit.